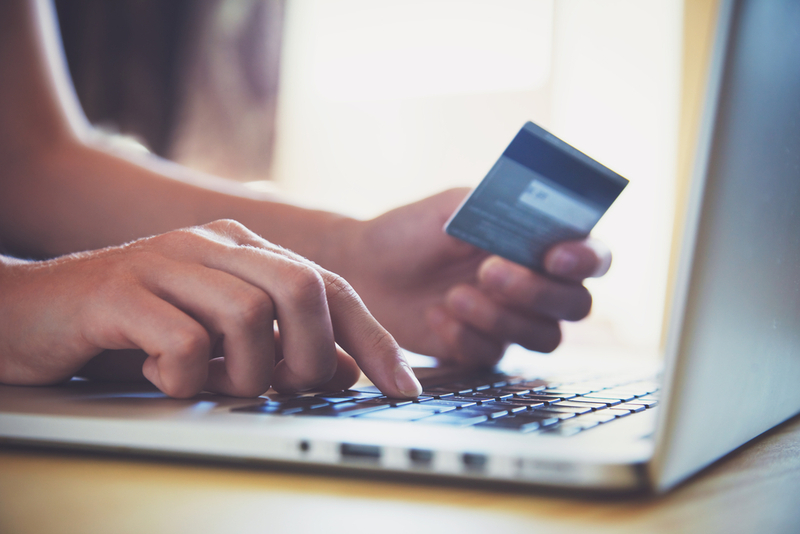 Home > Blog > Merchant Accounts & Payment Gateways: What’s the Difference? Merchant Accounts & Payment Gateways: What’s the Difference? Taking your business online offers many benefits. A number of consumers prefer shopping online versus in physical stores, and moving online broadens your reach. But, like with any ecommerce store, you’ll need a way to securely collect customer payments over the internet. Secure online credit card processing requires both a merchant account and a payment gateway. If you’re new to the world of ecommerce, then read on to develop a better understanding of the differences between the two and why they’re both important. A merchant account is a type of bank account that allows merchants to accept payments by payment cards, typically credit and debit cards. The merchant must apply to an acquiring bank for a merchant account. As the account owner, you hold responsibility over the transactions that occur within the account and are identified as the recipient of the funds. You may use a merchant account for your brick-and-mortar store (in a point-of-sale environment), but’s it’s also essential for accepting payments online. The online merchant account is separate from the POS merchant account. The fees associated with your account will depend on the transaction volumes and values. As previously described, you need a merchant account in order to use a payment gateway. Payment gateways are necessary in ecommerce, as they provide a secure way for your customers to submit their payment information online. Just like a physical point of sales terminal that you find in stores, a payment gateway is the bridge between the transactions that take place on your website and the payment processor. A customer submits their payment information through your shopping cart or payment page. The merchant passes this information to the payment gateway via a secure connection and the gateway formats the data and passes it to your bank’s processor. The processor submits details to the card networks, which then route the transaction to the bank that issues the customer’s credit card. The issuing bank then either approves or declines the transaction and passes the information back to the Card networks. The card networks sends the results to your bank’s processor and the processor will then relay the details to the gateway. The issuing bank then sends the funds to the card networks, which passes those funds to your acquiring bank. It is here that the bank deposits the funds into your merchant account. Like with a merchant account, the fees are often determined by your transaction volumes and values. Some gateways may charge flat monthly rates or offer tiered pricing. At First Atlantic Commerce, we provide a full suite of online credit card processing services, including international merchant accounts and payment gateway services. Our industry-leading services minimize loss from fraud and ensure successful transactions for companies and their customers. Contact us today to learn more: 441-296-5598 or info@fac.bm.